Welcome to Hattiesburg, Mississippi. Actually, you may not feel too welcome here after you catch a whiff. It stinks! The downtown area of Hattiesburg is plagued with the stench of industrial waste, the city lagoon, and unwanted visits by Michael Moore. It would appear that the residents have had enough. And when the going gets rough, there’s only one thing left to do: throw a concert! Yes, in the tradition of Woodstock, The Rolling Stones Rock and Roll Circus, and Waynestock (sorry, had to do it), “Stink Fest” aims at drawing attention to something that likely needs no attention drawn to it whatsoever. 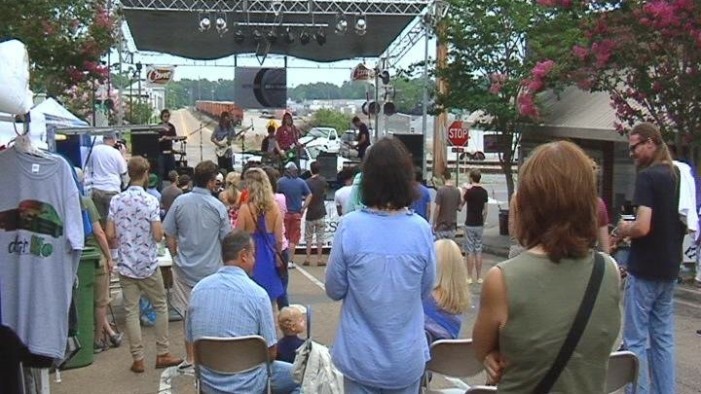 The organizers of Stink Fest hope concert attendees will have a good time rocking out to the tunes, while also encouraging local officials to find a fix for their foul funk. Though, if things smell as bad as they say down there, I would hazard to guess that local lawmakers are already aware of the odorous offense. BONUS: Here’s some footage allegedly taken from the event.